Although often overlooked, we must remember that the quality of your home furnishing investments can be prolonged with preventive measures. Window treatments in your home can go a long way to help with keeping fabrics on your furniture from fading. On your leather pieces, protection from harmful UV rays can prevent cracks and fading as well. Sun and leather do not go well together. Sun exposure with leather pieces can cause significant fading and drying, especially if the piece sits directly in sunlight from an adjacent window. Over time, the leather’s natural oil slowly evaporates, causing stiffening and cracking. The most effective way to prevent fading and fabric deterioration is to keep them out the sun in the first place. Another possible concern may be the expensive wood flooring in your home. Too much sunlight can wreak havoc on your hardwood floors causing discoloration, fading, and – in extreme cases – warping. A simple solution such as window treatments can help to prevent these harmful UV rays from damaging your investments. There is also the added benefit of helping to control the temperature of your room to assist with air conditioning costs. 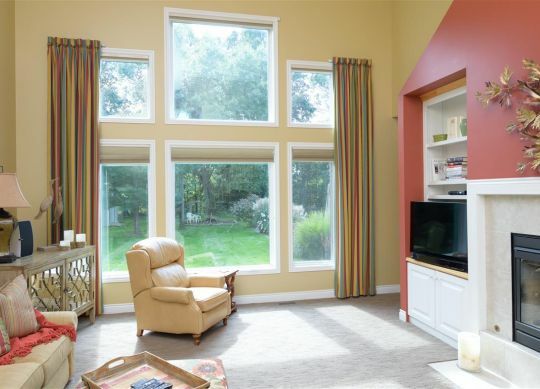 At Flair Interiors, we offer the absolute best window treatments in Kalamazoo. Having earned a reputation for our detail-oriented, professional work, we offer a nearly endless variety of panels, blinds, shades, and other treatments. To discuss how we can help you safeguard your home and furniture from sun damage, please contact us today!